China Everbright Securities shares tumbled 10% Tuesday as investors punished the company for executing fat-finger trading errors on back-to-back days. The 10% decline is the maximum daily limit allowed on the Shanghai Stock Exchange. Regulators have identified Everbright as the source of last week's sudden 6% spike in the benchmark Shanghai Composite Index. The jump, which took place over just a few minutes, spooked investors and puzzled analysts. Late Friday, the state-controlled brokerage admitted in a statement that its trading system was experiencing problems, and the Chinese government fingered the firm over the weekend. The regulators said that a systems glitch at Everbright was to blame for the dramatic surge. The company's trading system mistakenly placed 23.4 billion yuan of buy orders on Friday, 7.27 billion yuan of which were executed. The firm also sold 1.85 billion yuan in ETFs, and executed thousands of futures short sales. The company said that it won't immediately sell off all its accidental purchases. Everbright shares did not trade Monday. The China Securities Regulatory Commission is currently investigating Everbright's operations and has banned the company from proprietary trading until Nov. 18. Everbright is also prohibited from creating new stock index futures positions, according to the China Financial Futures Exchange. While in the spotlight, Everbright stumbled again on Monday, accidentally selling 10 million yuan in bonds at a steep discount. 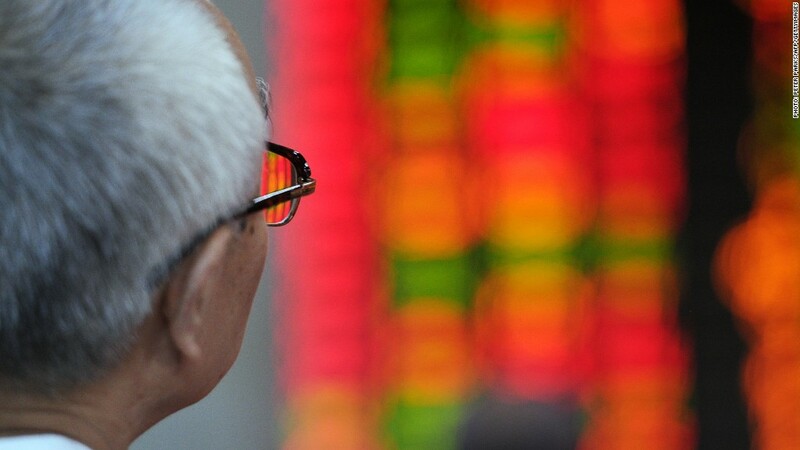 Friday's trading gaffe is the first such instance since China's capital market was established, said the CSRC. Wendy Liu, Nomura's head of China equity research, said that some growing pains are to be expected in Shanghai as the market is "relatively young." "This is probably an example of it becoming better regulated and more mature over time," Liu said. Shanghai isn't the only major market to experience a flash move in recent years. In 2010, the Dow Jones industrial average plunged nearly 1,000 points, briefly erasing $1 trillion in market value. And in April, the Dow quickly plunged 140 points after hackers managed to send an incorrect tweet about an emergency at the White House.